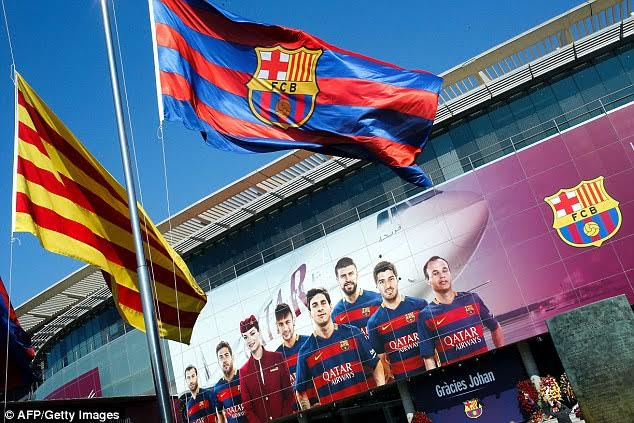 The Saudi authorities have banned football fans from wearing Barcelona shirt which is being sponsored by Qatar Airways, with a possible 15-year prison sentence and £120,000 fine if anyone is caught. The ban comes after Bahrain, Saudi Arabia, Egypt, the United Arab Emirates, Libya, Yemen and the Maldives cut off all ties with its neighbor, after they accused Qatar of supporting extremist groups. Although, Qatar have rejected the claims. According to Sky Italy, those caught wearing shirts with the Qatar Airways wording now face a £120,000k fine and up to 15 years in prison. The Spanish football club that has been sponsored by Qatar Airways for the past four seasons, have already agreed on a new four-year deal with Japanese online retailer Rakuten from the start of the 2017-18 campaign. Barcelona is not the only club affected by political tensions, Ligue 1 giants Paris Saint-Germain was also affected as the French club’s Qatari owners have a shirt sponsorship deal with Emirates.